The Value Mapping method by Andrew Jack is a second generation Performance Management model, trying to avoid some of the weaknesses of existing frameworks. As a result of the performance measurement revolution many organizations have numerous measures of performance. However often with significant weaknesses in the way that these measures are identified, integrated, communicated and acted upon. First generation performance measurement frameworks have partly contributed to this as none of the approaches addresses the full range of criteria important for performance measurement success. Users of these frameworks often have become bound to their model, and they have lost sight of the measures that are most important for the organization and the associated stakeholders. Formulated in the language of value and using visual pictorial maps to integrate and represent the most useful performance measures, Value Mapping can help management and employees to reconnect with performance measures and performance management. 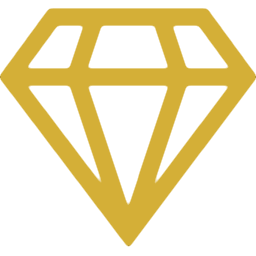 Value Mapping identifies the most important stakeholder needs, and uses these to measures value outcomes as well as to develop an integrated strategy. 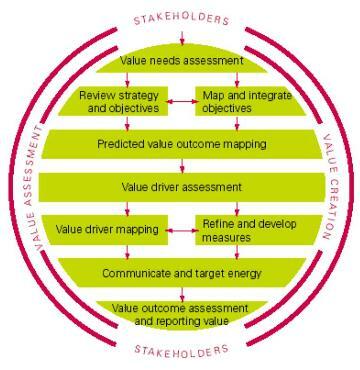 Also the Value Mapping approach places great emphasis on the effective communication of the activities and assets that create value, the value drivers, and the measures of their performance. There is a great need in organizations, public and private, to report more effectively on the creation of value for their stakeholders. Value Mapping is an approach that can help to structure the reporting of value. For all people concerned in the success of the organization.